These findings suggest the exchange of genes in amoebae that may lead to the constitution of different gene repertoires that could be a source of new pathogens. Amoebae are single-cell, eukaryote (possessing a nucleus) living organisms, some of which are human or animal parasites and may cause a variety of pathologies. Most amoebae live in water, damp soils or mosses. They are mobile and capable of ingesting a wide variety of different organisms (for example, viruses or bacteria with extraordinarily broadly ranging sizes and lifestyles). Thus amoebae provide a site for numerous exchanges of genetic material arising from the many organisms that “colonize” them. 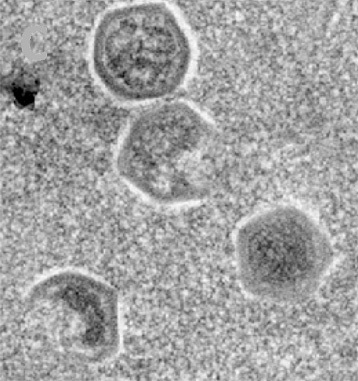 The team led by Didier Raoult at URMITE (CNRS/Université Aix-Marseille 2)1 has recently discovered, in an amoeba, a member of a new family of giant viruses, which it has called the Marseillevirus, smaller than Mimivirus, which is the largest giant virus known at present. With a chimeric genome (containing both DNA and RNA) of 368,000 base pairs, Marseillevirus is indeed the fifth largest viral genome to be sequenced. 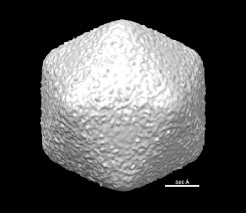 It has an icosahedral shape and a diameter of about 250 nanometers (or 250 millionths of a millimeter). 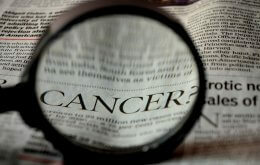 In addition, the researchers discovered that it contained genes from markedly differing sources, i.e. of bacterial, viral or eukaryote origin, or arising from Archae2. The genome of Marseillevirus, a mosaic of genes from very different organisms, thus demonstrates the exchange of genes between the organisms that “colonize” amoebae. These studies have also revealed the role of amoebae, and more generally phagocytic protists (or single-cell eukaryotes) that feed on microbes in the environment, in the constitution of new gene “repertoires” which may be capable of generating new agents that will be pathogenic to multicellular organisms such as animals, plants or humans. Marseillevirus at different stages of its formation in an amoeba. (2) The archaea are a major group of single-cell microorganisms which, like bacteria, have neither a nucleus nor intracellular organelles.